It goes against common sense to say the key to raising fast growing and hefty kid goats is not in what you feed them. I have been raising baby goats for 10 years and have learned repeatedly over the years that kids grow best on limited grain and milk. Overfeeding a kid grain or milk is a sure recipe for disaster. Kids fed too much milk at one time tend to get watery scours if they are under 3 weeks old. Watery scours leave a kid prone to dehydration and death, and are best avoided at all costs. If they are over 3 weeks old and consume too much milk, they can bloat and die. Enterotoxemia can also be a common result of feeding too much milk. Enterotoxemia bacteria are naturally found in the soil and all kids carry some in their digestive systems. Normally, this bacteria doesn’t cause a problem because it does not reproduce well in a healthy, aerobic rumen. But if a kid gorges on milk, their rumen can become an anaerobic environment. The enterotoxemia bacteria will proliferate and release large amounts of a cell killing endotoxin that will shut down the kid’s digestive system. The end result is typically very quick death. Thus it is very important to always slowly increase the amount of milk. Age at weaning can be a hotly contested issue. I have fed milk to kids from anywhere between 8 weeks to 6 months old. By 8 weeks most kids are freely consuming grain, hay and grass. I have found that most kids continue to gain weight when weaned at 10 weeks old. Milk after that age doesn’t seem to contribute to their weight gain. Grain is something that is often overfed to kid goats. Grain can cause bloating as well when fed too much at one time. It can also cause enterotoxemia by creating an anaerobic rumen. You have to be careful when feeding grain to kids because they tend to eat it first and then not eat as much hay or pasture. Grain tastes good and most kids enjoy eating it. Unfortunately, kids under 3 months old are not very keen on eating lots of hay or grass like an adult goat. This can cause an imbalance in their calorie intake and make them not as healthy overall. It’s like a picky toddler who only wants to eat mac’n’cheese all day. This is not a well-rounded diet and has consequences! It’s important to consider mineral and vitamin supplementation in kid goats as much as it is important to consider in adult goats. Kid goats are growing quickly and need to have the proper ratio of minerals to keep them healthy. Buck and wether kids are very prone to formation of urinary calculi when they have mineral imbalance. This can cause urinary blockage which can result in death. If large amounts of grain and milk are not the best way to promote rapid, healthy growth in a kid, what is? The answer is PARASITE MANAGEMENT! Kid goats are extremely susceptible to intestinal damage and nutritional deprivation caused by coccidiosis and tapeworms. My farm is a hotbed for these parasites. I have struggled for 10 years with them. This year I finally got serious and it may be the first year ever that my kids hit the 80 lbs mark by 8 months of age. I have had kids die from coccidiosis in the past. I have also had kids stunted and pot-bellied by tapeworms. My kid parasite management program involves preventatively treating for coccidiosis and worms on a monthly schedule until the kids are 6 months old. 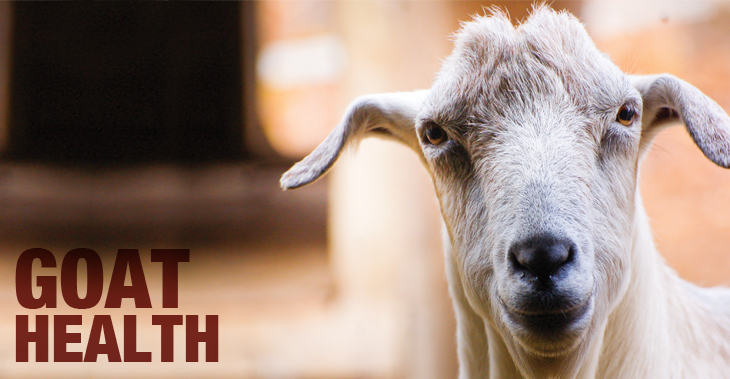 By 6 months old, most goats are immune to much of the problems these two parasites can cause. Coccidiosis prevention: Starting at exactly 21days old, I treat each kid with Corid. I mix 20% Corid powder at 1 gram of powder per 10 mL of water. I then give each kid 1mL of this solution for every 10 lbs of weight. I give it orally before feeding time. I like to wait 30 minutes after dosing before I feed the kids. This allows the Corid solution some time to be absorbed. I dose each kid once a day for 5 days. I repeat this 5 day dosage every 21 days until the kids are 6 months old. Tapeworm and other worm prevention: Starting at exactly 28 days old, I give each kid a dose of Safeguard (fenbendazole) dewormer. I follow the dosage recommendations on the bottle. I then give the kids a dose of Cydectin Sheep Drench 10 days after the fenbendazole. I give this at 5 mL per 22 lbs of weight. I continue to rotate these two dewormers every 28 days until the kids are 6 months old. So, if you are wondering why your kids are not as big as you think they should be or they are skinny, don’t start throwing milk and grain at them. Instead, it might be time to start a parasite prevention and management system on your farm. Rose Bartiss has been raising goats near Vermontville, New York, for 10 years. She has raised dairy goats, meat goats, and fiber goats. Over the years, she has learned a lot of information and tips for raising happy and healthy goats. Rose loves to share the information she has learned to help goat owners and aspiring goat owners to take good care of their animals. Goats are intelligent, resourceful, funny, useful animals that have unique needs when compared to other farm livestock. In 2011, Rose stared the Adirondack Goat Club to bring together goat owners and enthusiasts all over the area. The mission of the club is to create a network of people who can rely on each other for help with their goats, for the sharing of information and equipment, and for the sale and trade of quality animals. Rose lives on her farm with her husband and 3 year-old daughter. Currently the animal count is up to three Alpine dairy goats, one Saanen dairy goat, two Boer meat goats, one Angora fiber goat, 28 chickens, one rabbit, one barn cat, and two dogs. 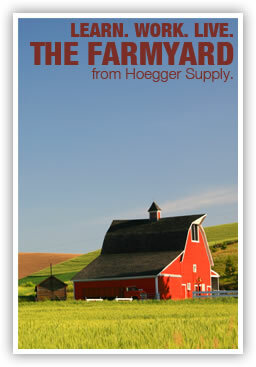 The extra milk on the farm goes into goat milk soap that Rose sells locally. Contact Rose Bartiss at rosesgoats@gmail.com or follow her blog at www.rosesgoats.blogspot.com. Her soap can be found on Facebook at Rose’s Goats.